Sugden CD21SE Special Edition Cascode Current Compact Disc Player. 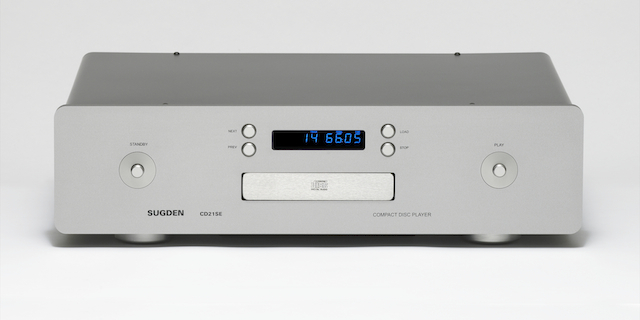 The CD21SE Compact Disc Player has been designed to partner the Sugden A21SE Pure Class ‘A’ Integrated Amplifier, with a sound that delivers the naturalness of an analogue source. Careful attention has been given to isolating the digital and analogue stages. The CD21SE uses a dedicated compact disc loader/laser mechanism that is specifically designed to replay red book specification audio and CDR Discs. Digital conversion is by DAC 7 hybrid integrated circuit with four times over sampling. All digital filtering, noise shaping and digital-to-analogue stages are Sugden designed and manufactured circuit boards. The analogue output stage is a low-impedance cascode current circuit with zero feedback. A substantial audio grade mains transformer provides power for seven separate regulated power supplies to minimise interference. The use of a highly modified compact disc transport system delivers the best possible performance from the Philips/Sony red book compatible audio discs. 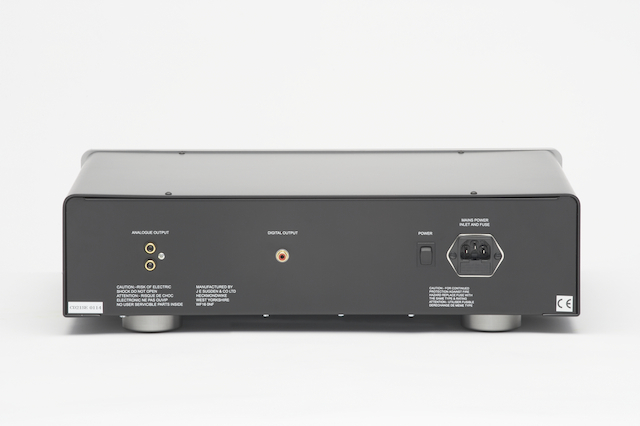 Ouputs – One stereo analogue and one digital coaxial. Front Panel Controls – Standby, next, previous, load, stop and play. Remote Control Functions – Direct track access, repeat, store, random, play, pause, stop, load, previous, next, search, A-B and time. Display – Track, repeat, store, random, play, pause, search, track time, A-B and CD length. CD Compartment – Accepts both 12cm and 8cm CD and CDR “Red Book” Audio Discs. Frequency Response – 20Hz to 20kHz -0.25dB. 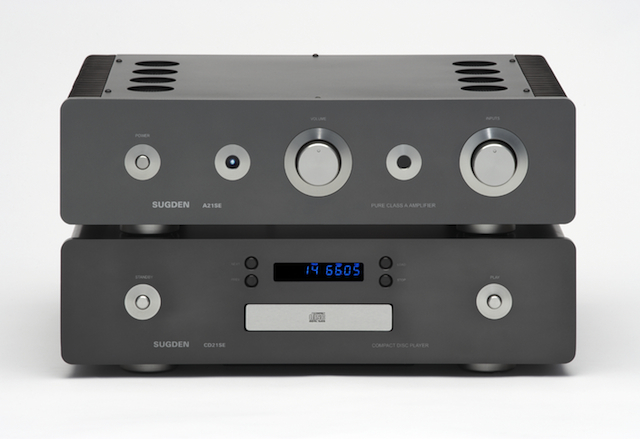 Sugden CD21SE Cascode Current Compact Disc Player & Sugden A21SE Pure Class ‘A’ Integrated Amplifier – Graphite finish.